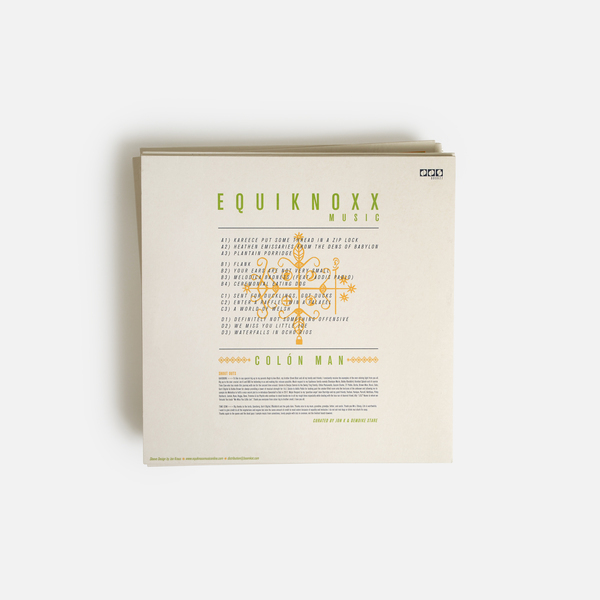 Equiknoxx’s debut album proper, following the hugely acclaimed 'Bird Sound Power' (Number 2 in both RA and FACT albums of the year 2016), featuring 13 brand new nuggets recorded over the last 12 months and featuring darker, more psychedelic, starkly dubbed perspectives on up-to-the-second dancehall. 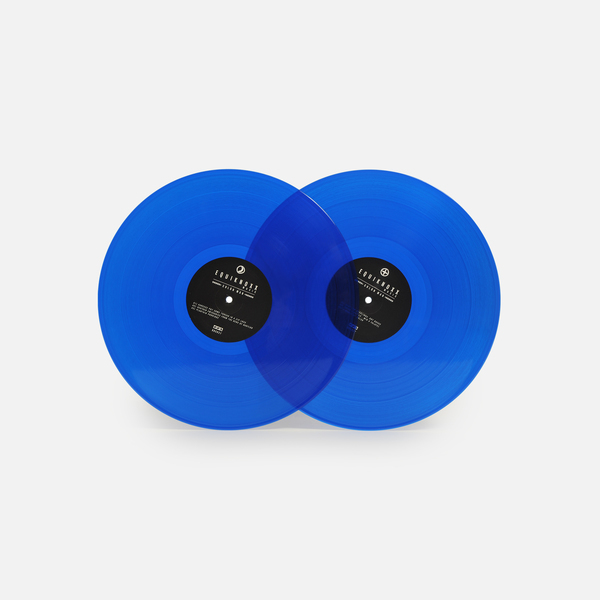 Well worth checking out if you’re into anything from Lenky to Haruomi Hosono, RZA to Errorsmith...! 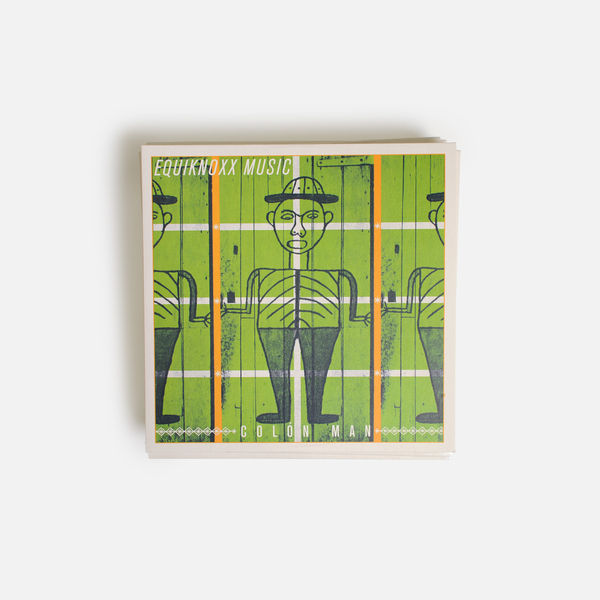 Colón Man is the exceptional debut album proper by visionary Jamaican dancehall artists Gavin Blair (Gavsborg) and Jordan Chung (Time Cow) plus their extended crew, aka Equiknoxx - once again for Demdike Stare’s DDS label. 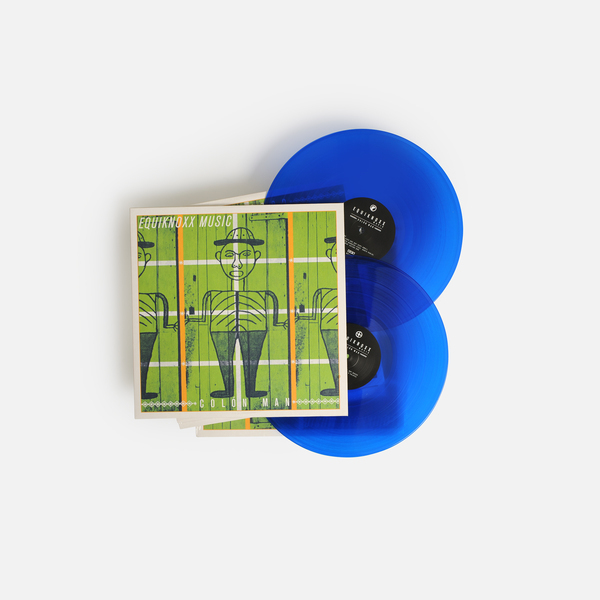 Where their widely acclaimed Bird Sound Power primer compilation, issued on DDS in 2016, brought the rest of the world up to speed with the music produced between late ‘00s and 2015, their first album now brings a 2020 sound into sharp, technoid focus thru a baker’s dozen steely, heat-seeking riddims galvanised with clinical electronics and a Midas Touch approach to sampling. The record’s title, Cólon Man refers to a Jamaican tale (and song) about a mysterious character, whom, like Marcus Garvey, was one of over 100,000 Jamaicans who returned from working in Cólon on completion of the Panama Canal - regarded among the greatest feats of engineering known to humankind, physically connecting the greatest bodies of water on the planet. In context of the album, Gavsborg and Timecow take the story as a metaphorical foundational for a roots and future sound, acknowledging the vital groundwork of previous generations of producers, whilst soundly contextualising their mutant new advancements of Jamaican Dancehall. 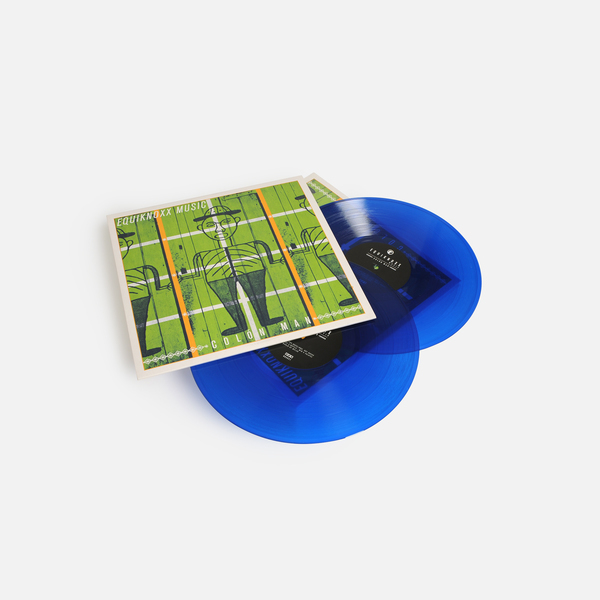 Bookended by the gauzy, Detroit-compatible synth looks and acid hall grind of Kareece Put Some Some Thread In A Zip Lock, and the mesh of Motor City sleekness with Far Eastern strings on Waterfalls In Ocho Rios, they distill and diversify their bonds in myriad ways across the album. There’s a killer dancehall/trap hybrid in the percolate chorales and man trills of Plantain Porridge, along with the secretive dub-into-dancehall transfusion of Addis Pablo’s melodica in the belly rolling Melodica Badness, while Ceremonial Eating Dog and the hyaline designs of We Miss You Little Joe - a tribute to their pal Alty Nunes - are arguably the most fwd Jamaican riddims you’ll hear in 2017, and Enter A Raffle… Win A Falafel uncannily recalls the clockwork mechanics of Haruomi Hosono’s Alternative 3, from his S-F-X  LP. 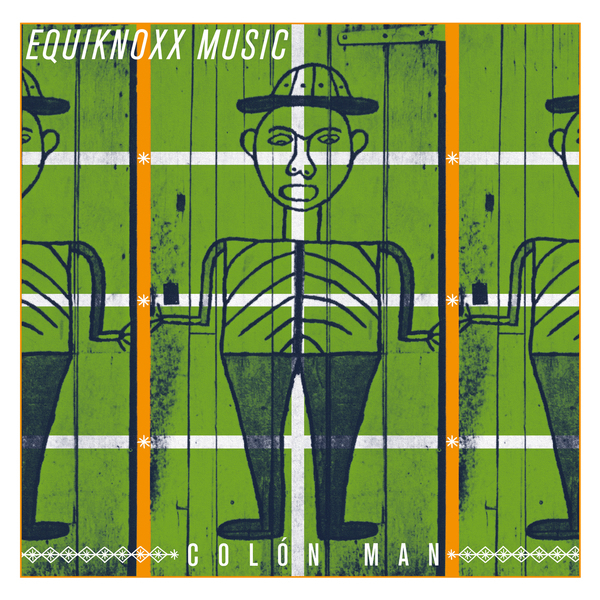 No matter what electronic box or boxes you subscribe to, Colón Man is a hugely inventive, compelling album for the ages, a remarkable iteration of Black Secret Technology for 2017 and far beyond.